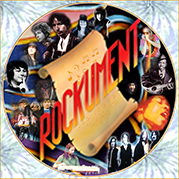 This rockumentary focuses on the five most influential jams led by the most inventive guitarists of Sixties rock: Jimi Hendrix (Jimi Hendrix Experience, Band of Gypsies), Jerry Garcia (Grateful Dead, solo), Eric Clapton (Cream, Derek & the Dominos, solo), Michael Bloomfield and Elvin Bishop (Butterfield Blues Band, Electric Flag, solo), and Duane Allman and Dickey Betts (Allman Brothers Band). In all these jams, the sound itself was influential, not just the guitar riffs. I’ve picked jams that are not just guitar duels or examples of powerful riffing, but representative of the entire genre of rock jamming. These are the milestones, starting with electric Chicago blues, moving over to England for the power trio of British Blues, and back home to America with greatest blues-rock guitarist of all time, Jimi Hendrix. Then, the finest of San Francisco acid rock improvisations, followed by the mountain jam of all time, inspired by the acid rock and in turn inspiring the next generation of southern rock. In each jam, blues gives way to jazz. Butterfield and Bloomfield bring an Eastern raga sound to the blues; Cream creates the template for electric blues improvisation and hard rock; The Jimi Hendrix Experience takes it a gigantic step forward into acid rock with a New York jazz influence; the Grateful Dead channel Ornette Coleman along with Bobby “Blue” Bland; and finally, the Allman Brothers infuse John Coltrane into deep south country fried boogie. The common thread is jazz, the common denominator is the blues, and the art form is quintessential rock. Videos: Parts 1 and 2 of the “East-West” jam by the Paul Butterfield Blues Band, live at the Fillmore West in 1966, with Paul Butterfield-vocals and harmonica, Mike Bloomfield-guitar, Elvin Bishop-guitar, Mark Naftalin-organ, Jerome Arnold-bass, Bill Davenport-drums. The Paul Butterfield Blues Band, based in Chicago, brought the Chicago blues sound to pop music. Paul Butterfield sang and played harmonica along with the incredible Mike Bloomfield on guitar, Elvin Bishop on rhythm guitar, Jerome Arnold on bass, Sam Lay on drums, and Mark Naftalin on organ. This is the band that backed Bob Dylan when he first went electric at the Newport Folk Festival in 1965. Recorded at Winterland, S.F. on March 10, 1968, and generally recognized as the Cream’s signature performance, this jam inspired a new generation of hard rock. Formed by Ginger Baker, Jack Bruce, and Eric Clapton, the Cream was an experiment in jazz-rock, the first power trio of bass, guitar, and drums, which came together for only two heady years, 1967-68. Ginger Baker was a respected member of London’s avant-garde jazz movement who played R&B with the Graham Bond Organisation, along with jazz bass player Jack Bruce. who’d studied at the Royal Scottish Academy of Music. Both had also performed with Alexis Korner’s Blues Incorporated, the bedrock of British Blues that helped start the careers of the Rolling Stones, the Yardbirds, Fleetwood Mac, and many other bands of the second British Invasion. Eric Clapton at that time was a bluesman’s blues guitar player, referred to as “God” by his fans in England in the mid-1960s. Clapton’s professional career really started with the Yardbirds, where he established that group’s strong blues riffs. He left the Yardbirds when they recorded “For Your Love” (a song that Clapton felt was too commercial) and joined John Mayall’s Blues Breakers, one of the seminal blues bands to spring from the Alexis Korner scene, where he played for a time with Jack Bruce. At some point all three were itching to start a band, even though Bruce and Baker had fought constantly while playing for Graham Bond. With innovative bass progressions, jazzy drum solos, and inspiring blues guitar riffs, the Cream took over audiences by storm. This recording is from the group’s 1968 American tour. “Crossroads” was Eric Clapton’s favorite Robert Johnson song. Robert Johnson, king of the Delta blues, was the main inspiration for a generation of country blues and rock. Johnson was cited as the main influence by Eric Clapton, Keith Richards, and many others. Everyone should know by now the Jimi Hendrix story (if not, there are many excellent biographies). Born in Seattle in 1942, primarily influenced by the Chicago-style blues of Muddy Waters, he moved to New York City in late 1964 and called himself Jimmy James and the Blue Flames, already experienced at playing guitar in the bands backing Sam Cooke, the Isley Brothers, Ike and Tina Turner, and Jackie Wilson. While even at that time he was inventive, fooling around with fuzz tone and feedback, he had not yet developed his unique vocal style. Chas Chandler, the Animals former bassist, was convinced by Linda Keith (one of the first of many Rolling Stones girlfriends) to check out Hendrix, and Chandler decided to bring him to England and pair him up with two white musicians, Noel Redding (a guitarist who picked up the bass when he met Hendrix) and Mitch Mitchell (a jazz drummer), to form in 1966 one of the first integrated groups, the Experience (posthumously renamed the Jimi Hendrix Experience). Hendrix’s triumphant return to America in 1967 with the Monterey Pop concert launched the Experience as a major rock group and Hendrix as a major star. While Hendrix is lauded for his blues-style guitar picking, it was his mastering of the crude electronic enhancements of his day, especially feedback, that influenced the next generation of guitarists. While others created electronic noise, Hendrix used various guitar tricks and feedback to create fluid and melodic lines that toke rock music to an entirely new level. “Voodoo Chile” shows Jimi at the height of his powers, jamming with Jack Casady (Jefferson Airplane, Hot Tuna) on bass, Stevie Winwood (Traffic, Spencer Davis Group) on organ, and the Experience’s Mitch Mitchell on drums. 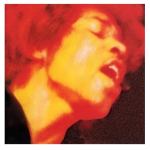 Jimi recorded several takes of this autobiographical masterpiece with these guest musicians. It remains the definitive live Hendrix jam session of renown, influencing countless guitarists including his peers back in the sixties up through guitarists today. Check out the official site for Jimi Hendrix. 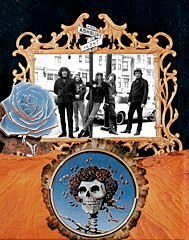 The Grateful Dead (at that time, Jerry Garcia on guitar, Bob Weir on guitar, Phil Lesh on bass, Bill Kreutzmann on drums, and Ron “Pig Pen” McKernan on organ and harmonica) were augmented on the second album by drummer/percussionist, Mickey Hart, and Tom Constanten on prepared piano sound effects and keyboards. This jam breaks out after Pig Pen finishes singing his signature tune at the time (“Alligator”), with Garcia launching it with a guitar riff at the end of a drum solo. The jam is some of the tightest, most earnest playing I’ve ever heard the Dead do. At the time, the Anthem of the Sun tracks were some of the most far-out sounds ever heard (see the Rockument show “San Francisco Psychedelic Rock“). The Dead’s lengthy jamming and two-drummer lineup influenced future bands such as the Allman Brothers. This particular jam introduced the “Mountain Jam” theme (based on Donovan’s song “There is a Mountain”) that the Allman Brothers later turned into their signature jamming tune. Check out Rockument’s History of the Grateful Dead, Haight-Ashbury in the Sixties, and the Official Grateful Dead page. Originally released on Eat a Peach, this version was remixed by producer Tom Dowd from concerts recorded at the Fillmore East in March, 1971. Duane Allman learned this riff while jamming with the Grateful Dead at the Fillmore East on the extended jam following “Alligator” and worked on it sporadically, mostly in front of audiences. This version is the pinnacle of Duane’s career and the moment when he “passes the torch” to fellow guitar mate Dickey Betts. First Betts takes a solo, then Duane Allman plays the best solo of his career, weaving in and out of riffs inspired by Miles Davis and John Coltrane as well as Elmore James, and leading eventually into “Will the Circle Be Unbroken” before ending on a magnificent guitar scream. Not long after this concert Duane Allman died in a motorcycle accident. This jam and this show is a tribute to him, to Jimi Hendrix, and to Michael Bloomfield, Paul Butterfield, and Jerry Garcia, who all deserve the best seats in Jam Heaven.